기사요약: 도널드 트럼프 미국 대통령과 김정은 북한 노동당 위원장이 5월에 회담을 앞두고 있는 가운데 '비핵화'에 대한 다른 정의가 걸림돌이 될 수 있다는 우려가 나오고 있다. US President Donald Trump has accepted an invitation to sit down with North Korean leader Kim Jong-un by May for talks to denuclearize the Korean Peninsula, but their different understandings of “denuclearization” stand as a major stumbling block to the possibly history-making talks. 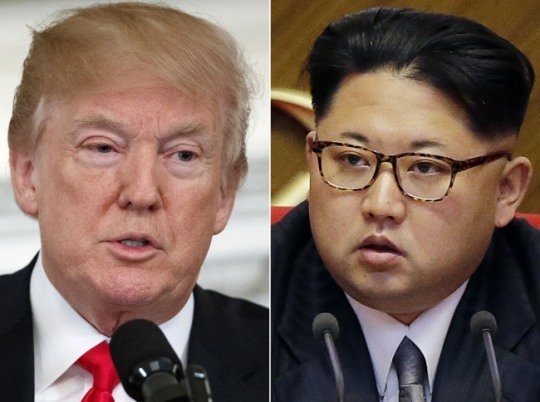 Despite growing hopes that the breakthrough between North Korea and the US could tackle the nuclear standoff, skepticism also lingers over whether the summit between Trump and Kim can be held and if so whether it could be successful. The US has been clear about its version of denuclearization. It wants North Korea to dismantle its nuclear weapons programs in a complete, verifiable and irreversible way -- not just freezing the development of its nuclear and missile programs. But to North Korea, it could mean less than that. It might define denuclearization as a long-term goal that would only be achieved in return for concessions from the US -- such as withdrawing troops from South Korea and ending the US-South Korean military alliance. 기사요약: 카카오택시가 '우선호출'과 '즉시배차'등 유료옵션을 도입해 더욱 효율적으로 승객과 택시를 연결시켜주고 수익을 창출하겠다는 계획을 밝혔다. Kakao Taxi, South Korea’s most widely used taxi-hailing mobile app, is introducing a “paid option” that lets users call up taxis faster or immediately by paying an extra fee on top of the ride fare. The move marks Kakao’s first attempt to monetize Kakao Taxi, which, despite amassing a large user base over the years, has yet to find a concrete business model for generating stable profits. A priority call option leverages artificial intelligence algorithms to direct a particular call request to taxis that are most likely accept that call. Kakao’s AI engine analyzes the previous call acceptance habits of taxi drivers, combined with factors like the time of day and traffic, to find the best match. On the other hand, the immediate dispatch option allows paying users to be immediately matched with an available taxi nearby. It would be the fastest and most certain way of ensuring a ride match.